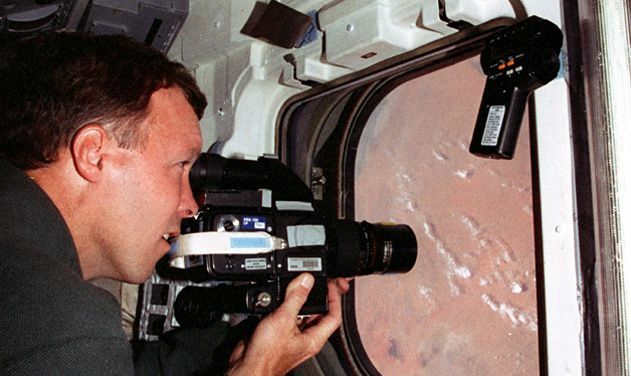 Highlights from 30 years of astronaut videos, filmed on location in Earth orbit. Like any travelers, shuttle crews came home with lots of pictures and videos. Weeks after landing, once they had finished their technical debriefings and other post-mission duties, the astronauts typically invited the media for a show-and-tell at the Johnson Space Flight Center near Houston. Often these postflight briefings were among the most engaging and personal accounts of a flight, from the point of view of the astronauts themselves rather than NASA mission managers. Here we offer highlights from 30 years of shuttle postflight videos—starting with the first one in 1981. Tune in regularly as we add more clips to the gallery below.